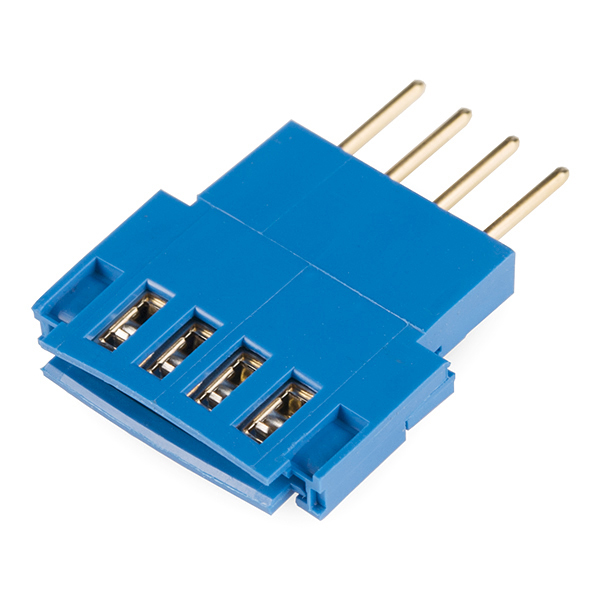 These crimp connectors can be used to terminate our 4-wire conductive ribbon. Simply insert the end of the ribbon into the connector and press it closed. 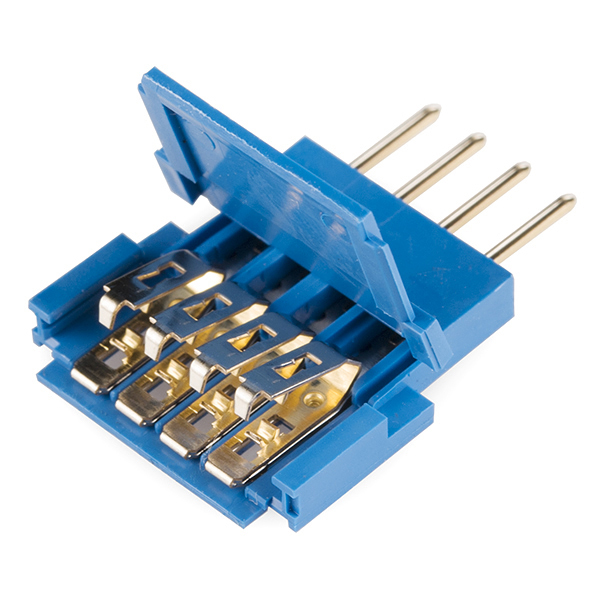 The "teeth" inside the connector will crimp around the conductors and break them out to 4 standard 0.1" spaced pin headers! 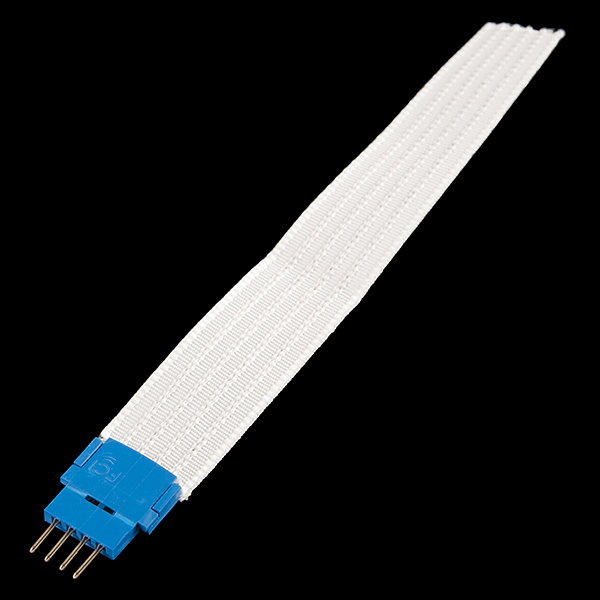 The compatible conductive ribbon can be found in the related items list below. Note: When using this with the conductive ribbon, you will need to trim the overall width a bit to fit into the housing. You can do this just for the part that fits inside the connector. This particular product does not actually line up with the conductive ribbon sold as its compliment. The ribbon must be pushed and pulled slightly to get crimped right. Use your pliers to crimp the teeth down, then use fingers to gently close the plastic casing. (If you use pliers on the casing the plastic tabs break.) 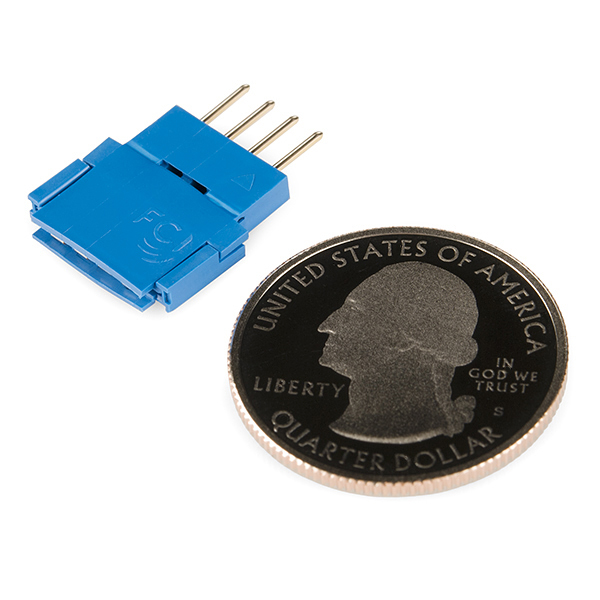 SparkFun should sell the female connectors too. Had to pull the pins out of one side, it was a messy and delicate process, but it works for now. 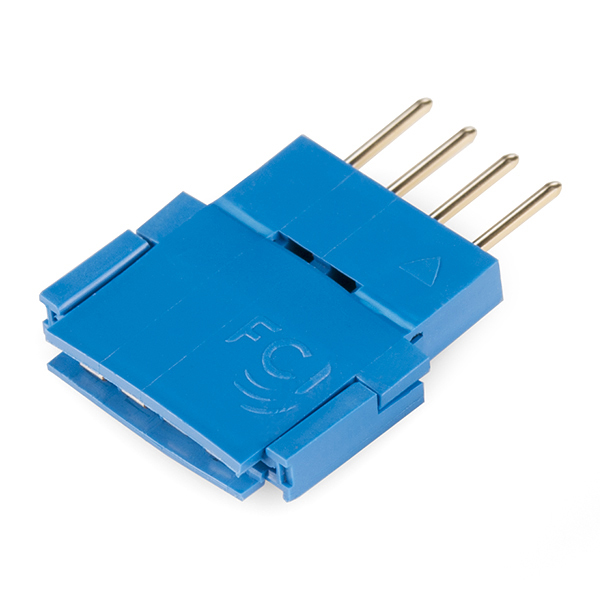 Overall, this product seems OK. Haven't tested connectivity and resistance of the the ribbon+FC combo, hope for the best. These FCI "Clincher" parts and their friends are great in theory, but in practice I had a lot of difficulty getting them to crimp properly onto RGB LED strips. First problem was you need quite a length of track on the flat flex to seat them properly (at least 10mm) which you don't have on the strips I was using. Secondly, I had difficulty getting a good crimp without the proper tool. Which costs ~USD$2000. I don't know if these things are problems with the plain flat flex Sparkfun suggests above.